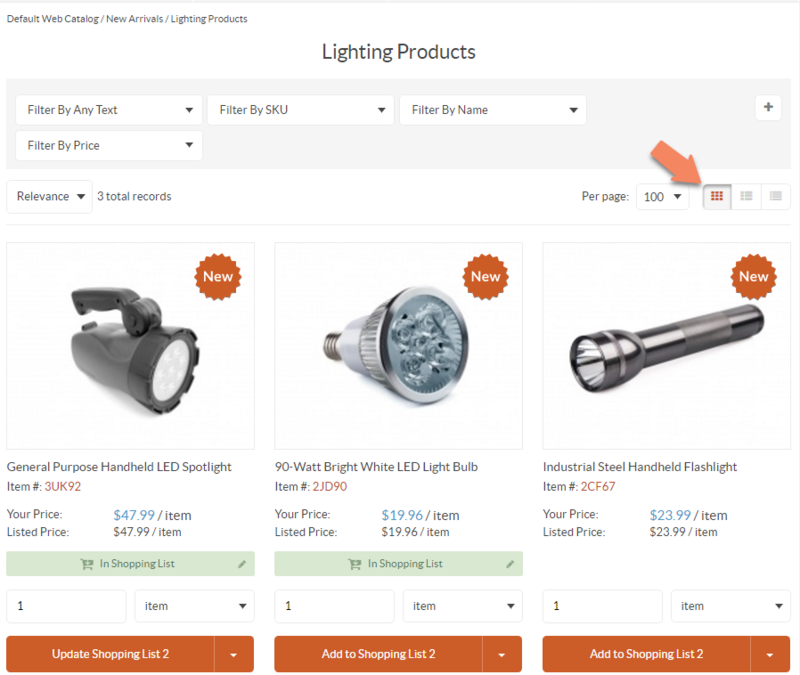 You can highlight certain products as new ones in the storefront by enabling New Product icons display. You will find detailed guidance in the sections below. In the General section, set Is New Arrival to Yes. In the General section, set Is New Arrival to No. 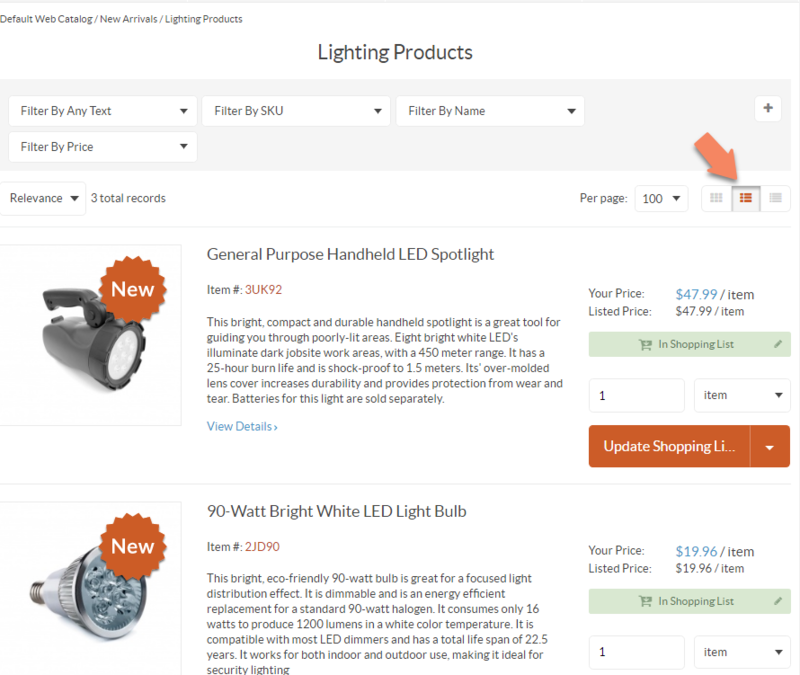 Configuring New Product icons can be done globally, per website and organization. 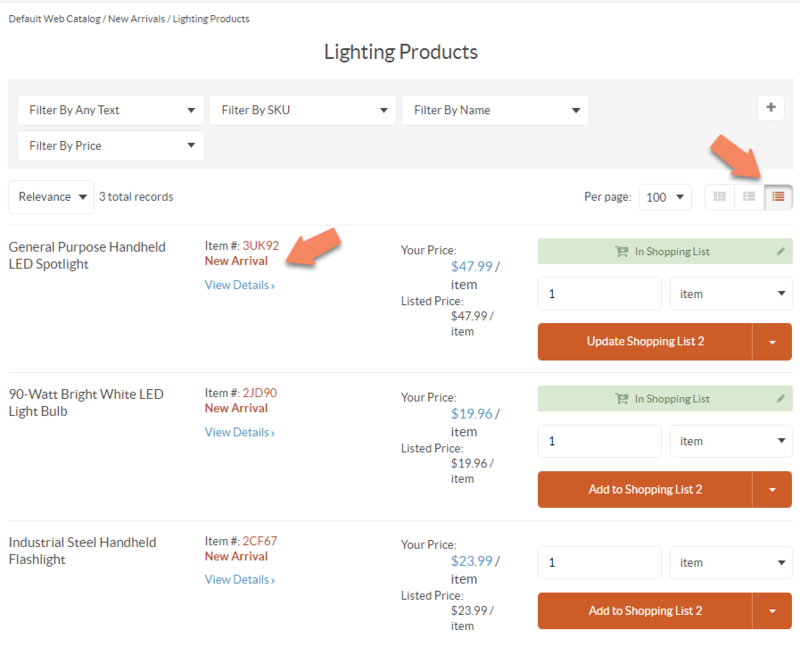 Select Commerce > Product > Promotions in the menu to the left. In the New Product Icons section, clear the Use Default check box and select Yes in the Show on Product View field. 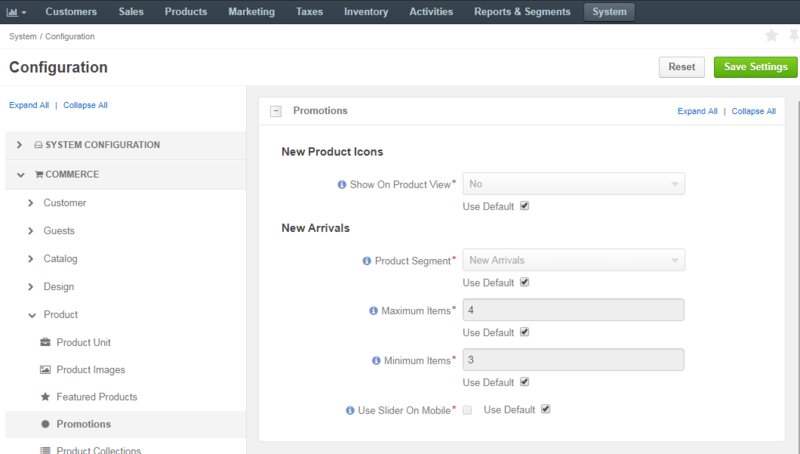 To disable ‘New Product’ icons, select No in the Show on Product View field, and click Save. Navigate to System > Website in the main menu. In the New Product Icons, clear the Use Default check box and select Yes in the Show on Product View list. To disable New Product icons, select No in the Show on Product View list, and click Save. To disable the ‘New Product’ icons, select No in the Show on Product View list, and click Save. To promote new arrivals on the store homepage, you can set up and control the products included in the New Arrivals block. This can be done on three levels: globally, per organization and per website. Product Segment – Select the segment that will include the items to be featured in the New Arrivals block. If Choose Segment is selected, the New Arrivals block disappears from the homepage. Maximum Items – Set the maximum number of items that the block should contain. By default, the number is set to 4 items. Minimum Items – Set the minimum number of items that the block should contain. By default, the number is set to 3 items. The block will be hidden if the number of items in the segment used for the block is less than the set value. For instance, if the set minimum number is 3 and the number of items in the segment is 2, you will not be able to see the block unless you add more items to the segment, or change the minimum value. Use Slider On Mobile check box – When the slider is enabled, the block occupies less screen space, while showing larger product images. Clear the Use Default check box to change settings manually. Use Slider On Mobile – When the slider is enabled, the block occupies less screen space, while showing larger product images. When enabled, Use System allows for system settings to be used. Clear this check box to enable manual change of settings.